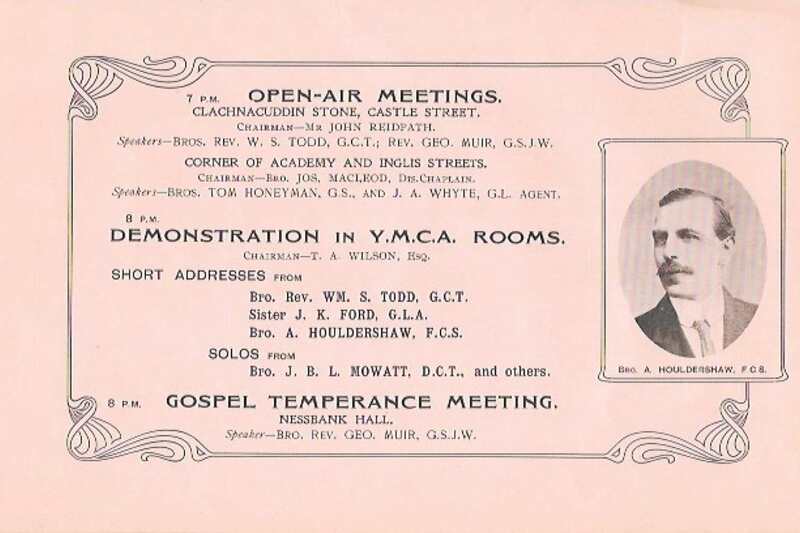 The Houldershaw Collection - a picture of the Temperance Movement in Great Britain. 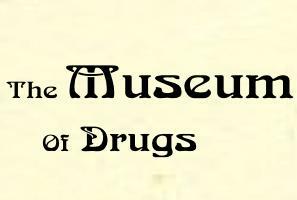 The Museum of Drugs is honoured to be the custodian of a unique collection of ephemera, which belonged to a stalwart of the Temperance Movement, Arthur Houldershaw, 1866 - 1908. The collection is testament to a hard working, principled and meticulous man who made it his life work to serve the communities in which he lived. Arthur was undoubtedly a modern man who had a strong social conscience and drive. He went beyond Victorian notions of philanthropy to work directly with impoverished school children, offering them the hope of a life free from the ravages of alcohol. Arthur's England was one which enjoyed the benefits afforded by progress and industrialisation. Arthur Houldershaw was born in Great Grimsby, the seventh child of William Johnson and Elizabeth Houldershaw. He was under two years old when the family moved from Lincolnshire to Heckmondwike in the West Riding of Yorkshire to begin a new life. 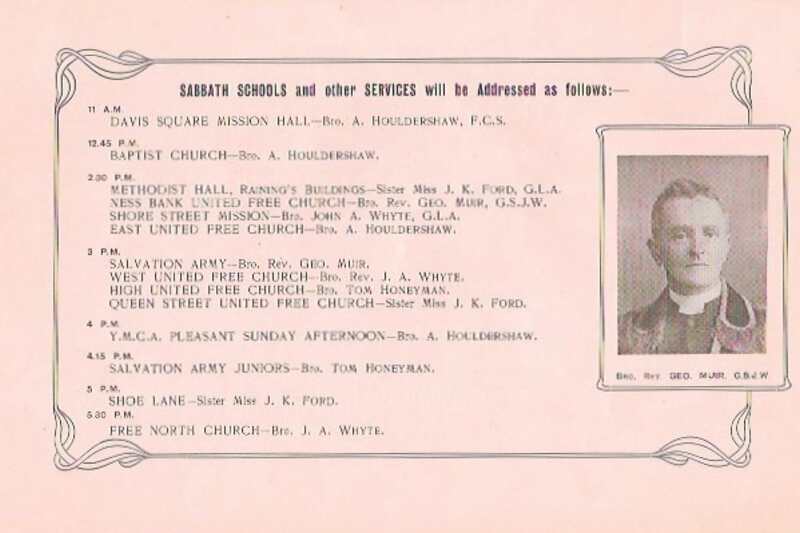 We know little of Arthur’s early years when the family were establishing themselves in Heckmondwike. Three further children were born between 1868 and 1871, although John, the second of those three, died soon after birth. Arthur’s eldest sister Elizabeth married in 1873. 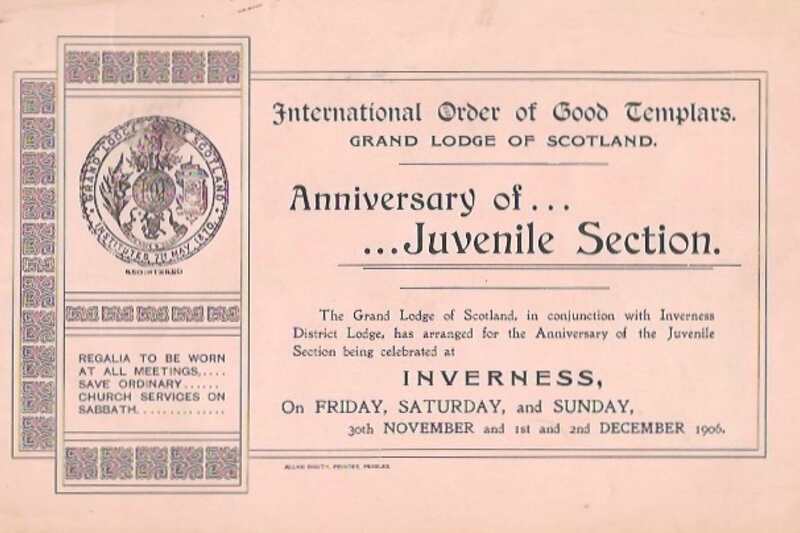 An early indication of the pattern Arthur’s life would take occurred in 1874 when, at the age of 8, he signed Temperance Pledge Card issued by the Band of Hope, no doubt persuaded to do this by his father. 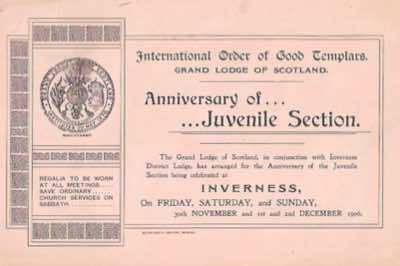 The Band of Hope was an organisation primarily for children and served to warn them about the evils and misery caused by the consumption of alcohol. It was formed in 1847 when a 72-year-old Irish Presbyterian, Ann Jane Carlisle, was invited to Leeds to speak at some children’s meetings. She was convinced that children suffered because of the ready availability of strong drink. She met a young Baptist minister called Jabez Tunnicliffe, who had been shaken to the core by his experience supporting someone dying from alcohol abuse. Just before he died, the man had grabbed Tunnicliffe and made him promise to warn children about the dangers of drink. Ann and Jabez discovered their common interest and decided to start a regular children’s meeting. It isn’t clear who thought of the name first, but Ann is supposed to have said, ‘What a happy band these children make, they are the hope for the future’. In London in 1855, the UK Band of Hope was born. Fifty years later, the Band of Hope numbered over four million children and adults. 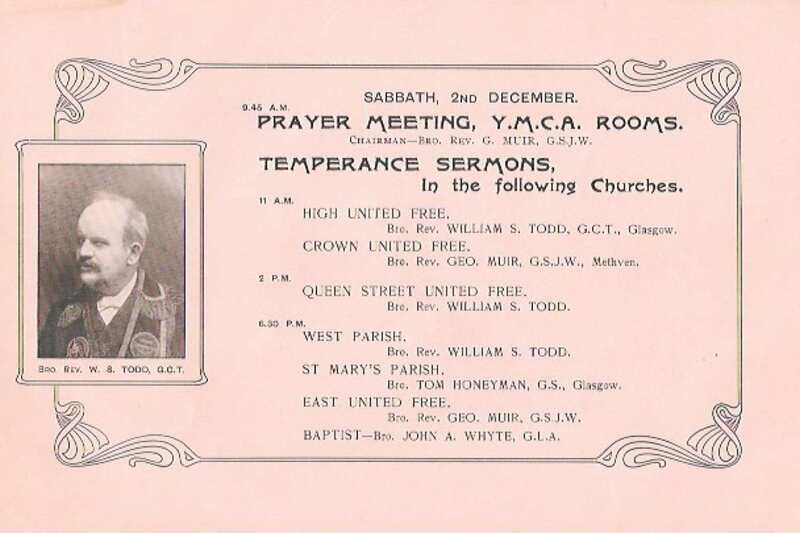 Queen Victoria was its Jubilee patron and it was part of the fabric of Victorian society and the Church. On leaving school Arthur worked in a local carpet factory, firstly as an office boy running errands, and then as a carpet weaver. During this same period of his life he enrolled at the local Mechanics Evening Institute to further his education, and became an active temperance worker in the local Band of Hope Union. He eventually became a Local Preacher in the Wesleyan Church and narrowed the scope of his studies to physiology, hygiene, and chemistry. In 1891, at the age of twenty-four, Arthur obtained a First Class Pass in Elementary Animal Physiology and a Second Class Pass in Elementary Inorganic Chemistry. In the following year he was one of five Queen’s Prizewinners for the best results in his exam papers in Advanced Physiology. In 1894 he obtained a First Class Pass in Advanced Hygiene, and for a short while he went on to become a teacher of physiology, hygiene, and chemistry. During this period of study, he met Maria Jolliffe and on the twenty-third of December 1893, they were married at Birstall Church, Kilpin Hill, near Heckmondwike. Their first daughter, Florence was born in March 1896, the same month in which Arthur was selected from over one hundred applicants to become the Cumberland Agent for the Noah of England Temperance League, based in Workingtom on the Cumbrian coastline. 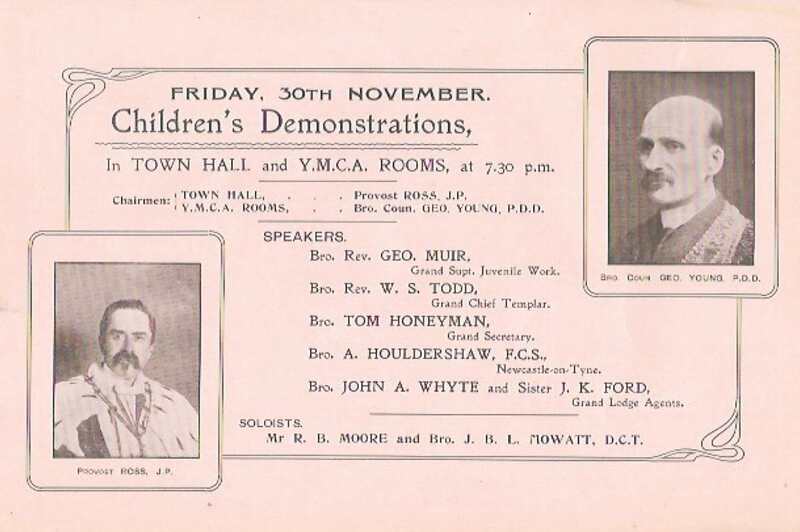 Before leaving Heckmondwike, the Heckmondwike Temperance Society and the local Band of Hope Union jointly presented Arthur with an illuminated address and a purse of money in appreciation for all his work and services for the two organisations. And so, Arthur with his wife Maria and young baby daughter moved about 130 miles northwest to Workington. In December 1892, before the family had moved east to Newcastle, a son, Frank, was born to Arthur and Maria. The high standard of Arthur’s examination results during the 1890s and his subsequent scientific based work had been noticed by others, and in February 1901 he was elected a Fellow of the Chemical Society. ‘I hope Jack is thriving… ' - presumably a reference to the one day-old William, before they had decided on a name. 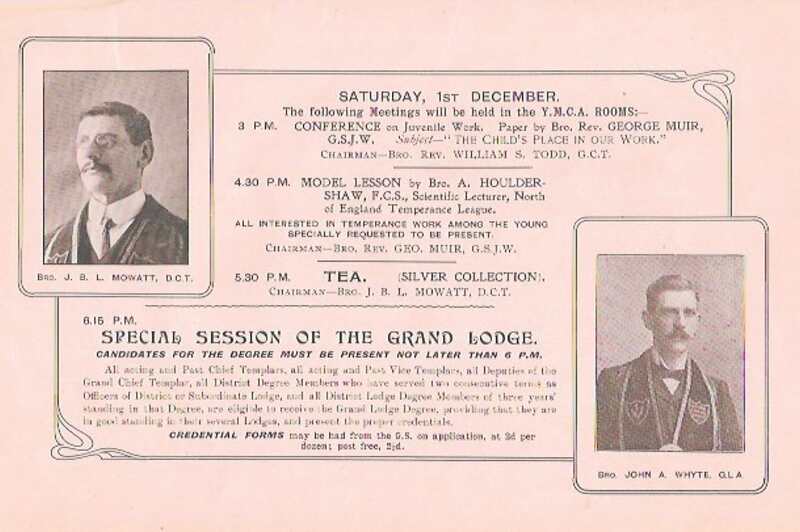 During the year 1903, Arthur served as President of The North of England Association of Temperance Advocates, and was actively involved with The Sons of Temperance, The Independent Order of Good Templars, The Independent Order of Rechobites, and The Band of Hope. All of these organisations were concerned with the relief of poverty caused by the consumption of alcohol within the family. He also spent time writing pamphlets and booklets on the subject. He was the author of a twelve-lesson work, which ran to at least four editions between 1897 and 1907. The fourth edition, 20,000 copies, was published at Newcastle on Tyne by the North of England Temperance League in 1902. 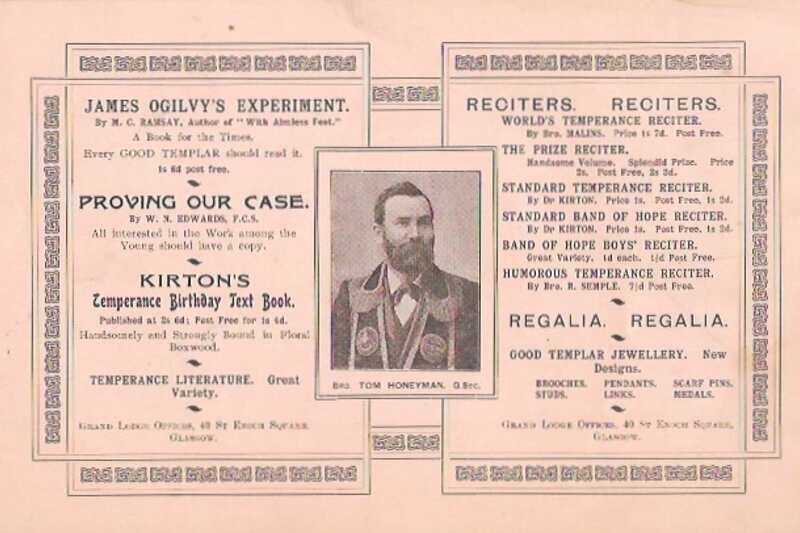 This twelve lesson work went under the heading of 'Alcohol as a Guest in the Human House', and was also published in serial form in The Temperance Witness, a regular temperance magazine. 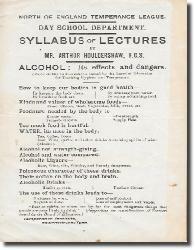 He also produced a series of five booklets published by the North of England Temperance League between 1902-1907, under the common title 'Facts and Fancies about Alcohol’. A fourth child, Constance, was born to Arthur and Maria in 1905. "....In spite of everything the friends have been able to do for me, my voice us very badly standing the strain. Today – Wednesday – I thought I was a little better, but my voice gave in completely during the lesson this afternoon & I had to fire up a little before the finish. Since tea, I have painted my throat very well with glycerine & but am not feeling equal to the task this evening. I am in a terrible way about it as great preparations have been made. However, I presume I shall have to submit & if no better tomorrow, must wire Honeyman that I am coming home. I am hoping for the best but shall have to prepare for the worst. The weather here is very searching and finds out all one’s weak places". "I foolishly went back to Newcastle yesterday, Thursday, and caught more cold from which I am suffering intently today". Good Friday’s rest seemed to do me good until evening when I was so full of pain that I had to retire at 8 p.m. Refreshed again I found that it needful to be at N/c this morning and have been groaning ever since until one hour ago whne the powders I had taken began to operate. For the remainder of the holiday I think I shall tie myself up though I am under a promise to take the children to the Wilde Beast Show on Tuesday. I will endeavour to get someone to go in my stead. I had a game of rings with them (the children) last night but was too ill for the game I had planned them this evenin". Lady Carlisle, President of the North of England Temperance League knew of Arthur’s work and his circumstances and, from the above extract, she was obviously very concerned about his health. Lief Jones was temperance campaigner and Liberal M.P. for Rushcliffe in Nottinghamshire. However, Arthur was stubborn in his decision not to take advice. Arthur’s health deteriorated still further and 15 days later, on 2 May, and at the early age of 41, he died from pneumonia, at that time a dreaded illness, which killed many people. 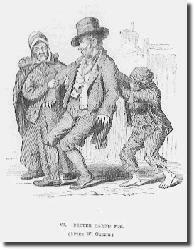 Damp housing conditions, which were still common at the beginning of the 20th century, coupled with the polluted atmosphere of towns and cities combined to boost the incidence of pneumonia, and chest colds often developed into pneumonia, particularly if the person concerned neglected his or her health. This was certainly the case with Arthur. His funeral took place on 6th May at Saltwell Cemetery, Gateshead-on-Tyne, attended by well over 100 of his family, friends and colleagues. He had led an eventful and purposeful life. He had been employed as Day-School Lecturer and Temperance Advocate for just over ten years, a relatively short period of time. In that capacity he had delivered over 3,000 lectures to 294,225 children and 7,083 teachers, and had received 94,096 essays on the lectures given, and awarded 66.362 certificates. His devotion to his life's work was total, although it was at the expense of his wife and family. Maria was left, in the summer of 1908, with a family of four young children between the ages of 3 and 12, living in rented accommodation, and with no income other than the proceeds of a very small insurance policy which Arthur had taken out; known at the time as Penny Policies, the premium usually being one penny per week. During his travels, Arthur had often stayed at either Naworth Castle, near Carlisle, or on the Castle Howard estate in North Yorkshire, both of which were ancestral homes of the Earl of Carlisle, husband of Lady Rosalind, President of the North of England Temperance League. Through his work, he had been personally known by Lady Carlisle and, on hearing of the plight of Maria and her four children, she personally arranged that the family should be provided with rent-free accommodation in the village of Coneysthorpe on the Castle Howard estate. And so they moved south to Coneysthorpe and settled in what must have been strange surroundings to them. Maria had been born and brought up surrounded by the industrial landscape of West Yorkshire and, following her marriage, had lived in rented accommodation in Workington, Newcastle and Gateshead, all fairly industrial areas. At Coneysthorpe, she lived in one of a number of little terraced cottages around the village green, with views over the lane to Castle Howard. She would of course greatly miss her husband; it must have been a very different lifestyle to Mari and her young family. Lady Carlisle arranged for Maria to work in the laundry at Castle Howard, and Frank, on leaving school, was provided with employment as an apprentice gardener on the Castle Howard estate, a profession that, apart from the period of the First World War when he served in France, he was to follow all his working life.